*This number includes the 168 reviews from our previous location (July 2013- December 2016). 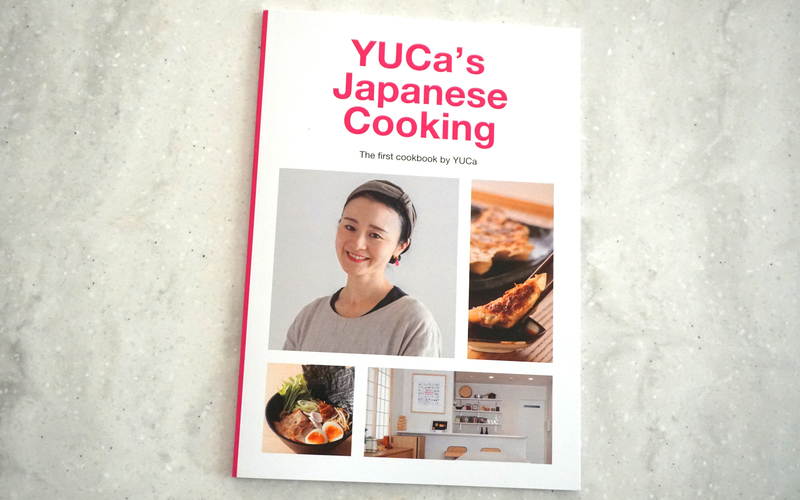 YUCa puts together a great cooking class in her home but the experience is much more than learning to cook a few Japanese dishes because she has an intense passion for sharing the culture of Japan with her guests. I chose the class initially in part because of the shopping trip for ingredients beforehand. I have been to Japan many times but always find supermarkets bewildering because of my lack of Japanese language skills. We started out in the market and she identified all the ingredients we had to buy but also pointed out many other interesting items in the store, telling stories, for example, about all the different kinds of noodles and soy sauces (which I would not have been able to differentiate otherwise). After the class, armed with knowledge, I returned to the store and bought many things to bring back to friends as gifts. The class was intimate, interactive and hands-on, taking place in her Tokyo home. It is not a show class. YUCa speaks absolutely excellent English and has lived abroad, so it’s a comfortable experience for foreigners. We made some delicious dishes (see photos) and then ate them together. Perfect. Since we took the class, YUCa continued to engage us in cultural exchange, sending occasional recipes, telling stories of seasonal dishes and Japanese holidays and festivals in her newsletter. She also has an active YouTube channel. All of this is to say that once you join YUCa’s class you are invited to continue to engage in Japan’s unique culture and learn more. It’s obviously not just a way to make some money, it is a passion for her, to share her culture. This is what makes it special. I took the Bento cooking class, it was amazing. Yuca was so patient in teaching my friend & I how to cook japanese side dishes. You have to understanding, I have almost no cooking experience or even prior interest to cook. I went for this bento class as a time of bonding with my friend (who really wanted to learn japanese cooking). I was so inspired after the class. Yuca made cooking japanese dishes so simple and fun! I’ll definitely practise what Yuca taught us in Singapore! The location was convenient, just a 15 min walk from Tabata station. But she was very kind, she met us at the station and paid for the taxi ride (5 min) to her place. She’s such a sweet lady. Her english is very good! She even has some of her unique recipes featured in a bilingual magazine (JPy magazine) published in Los Angeles! Formidable lady 🙂 So you’ll be in great hands! I recently sent in a review saying that the cost of the class was on the “higher side” and wanted to clarify what I meant. I wanted to let potential travelers know that this was a first class/five star class and not a cheap, quick and easy/bare minimum type of class.From YUCa herself, her home, her whole kitchen set up, to the actual food we prepared, truly awesome and an experience and memory we will remember forever. Since my last post, several of us have already prepared the dishes we learned like the gyoza, green beans and simmered pork for ramen noodles. We are even waiting for our mortar and pestle bowls that we ordered online like the one we used at YUCa’s. This was one of the best parts of our trip. Thank you, YUCa! We had a fantastic time. Yuca is a warm and funny and informative teacher. We made many dishes, all of them delicious and importantly with the step by step practical guidance, ones we can reproduce back home. It was just a fabulous way to spend some time in Tokyo; we were in a real Japanese home with a delightful woman who clearly loves what she does; in a great neighborhood off the beaten track. Following lunch Yuca took us to the supermarket so we could buy some of the items to take back home. Can’t recommend this activity highly enough. Must be an excellent family activity too. YUCa’s class was wonderful. We started with a general description of Japanese style meals, with lots of hands-on experiences to see/smell mirin, sake, katsuobushi (which I had not seen in its whole form). We then made dashi (Japanese soup stock) by hand, made miso soup, a really delicious sweet ground sesame sauce for vegetables, Japanese rolled omelette, and the star of the show: tempura! I was introduced to the two types of ways to eat tempura, first with a ponzu sauce, second with just salt and perhaps some sansho. YUCa’s tour of the Japanese supermarket was also very nice, I immediately bought many of the ingredients she pointed out after our class, while they were fresh in my mind. It was fairly mind blowing to make tempura as good as I’ve had in restaurants, YUCa even indulged in my request to learn how to make kakiage tempura. This is pretty much the only way my two year old son will eat vegetables, and I’m very thankful for that. Thanks YUCa, for a wonderful class! I’m sure I’ll come for another one the next time I’m in Tokyo. And many more reviews on TripAdvisor & Airbnb experience and Facebook! THANK YOU! !